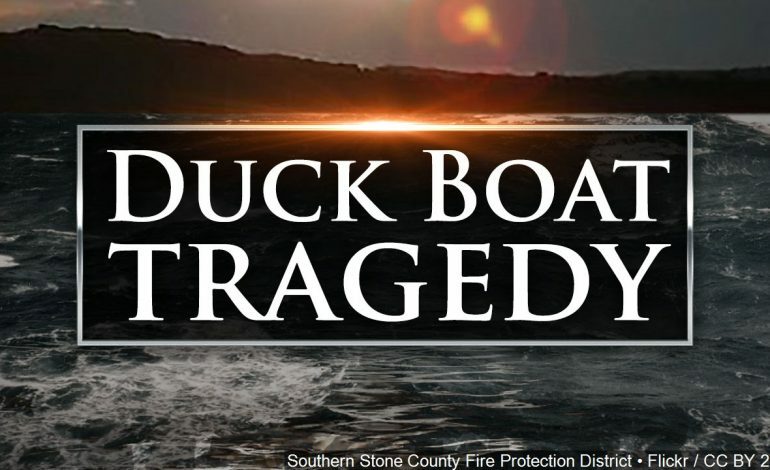 A federal grand jury has indicted the duck boat captain of the boat that sank and killed 17 people including members of an Indiana family on Table Rock Lake in July. The United States Attorney for the Western District of Missouri made the announcement including Kenneth Scott McKee was charged with misconduct, negligence, or inattention to duty by a ship’s officer resulting in the death of another person in the 17-count indictment. McKee is charged with one count for each of the 17 people who died when the boat sank. The federal indictment alleges that during severe weather McKee failed to instruct passengers to put on flotation devices and failed to immediately increase speed and head to the nearest shore. Garrison says a conviction under this statute means the captain could spend up to ten years in prison and face a $250,000 fine.